This year, the new Minister of State for Energy and Climate Change, John Hayes gave the Dennis Anderson Memorial Lecture at Imperial College. His topic was The Changing Shape of UK Energy Supply. Referring to supply alone in the energy field is like talking about the heart without the veins. Our energy supply is a circulatory system, its components form a wholly functional unit. Minister Hayes started out well, describing our common values, “…protecting our landscape and heritage… secure the common good, government’s role in setting a framework… the words we expect from our elected representatives. As he eased into Electricity Market Reform, the biggest shakeup in electricity markets since liberalisation, one already starts to question the extent of futuristic thought that went into this new bill and what changes were actually envisioned. The bill introduces “market mechanisms” (read: subsidies) for stimulating investment in electricity generation, by providing investor certainty by guaranteeing a fixed price for energy generation. Despite what Ed Davey is saying about no public subsidy for nuclear, this capacity mechanism and contracts for difference are widely recognised in the renewables industry as another taxpayer financed subsidy for the nuclear power. This is because nuclear base load generation will receive funding from the taxpayer for production, regardless of whether it is consumed or not. A youthful DECC representative at a recent Eco Connect panel discussion estimated the taxpayer exposure at £40 million. This calculation pales to the billions that are made each year by the energy suppliers and the National Grid. The number is likely to be 10 times or more than this amount. The value for money argument doesn’t exist, because for the taxpayer, adding in the cost of decommissioning and waste disposal, the cost of nuclear power is unaffordable. During the Q&A afterwards, the Minister admitted that energy storage hadn’t been mentioned in the electricity market reform. A gross oversight since for any energy visionary, energy storage will be the most cost effective way of managing the peaks and troughs of electricity supply and demand. There are British companies leading the way, like ITM Power so Britain is a leader in contributing technologies, we can let go of the additional costs of Carbon Capture and Storage. For EDF, a company owned by the French State and the National Grid, nuclear power presents a watershed. Customers remain locked into buying supply from them as there are few alternatives. Minister Hayes mentioned the 5,000 jobs that the nuclear industry will create. Compare this to the 20,000 jobs that were created by the solar industry before the government pulled the rug out from under the Feed in tariff. The National Grid is a monopoly that ultimately controls the decisions surrounding investment in our energy circulatory system. National Grid plc is a company whose ideals concern maximising shareholder value distributing millions to them each year. Steve Holliday, CEO, was accused of ruining the career of a junior female employee who refused to submit to his sexual demands, earns about £2 million per year. 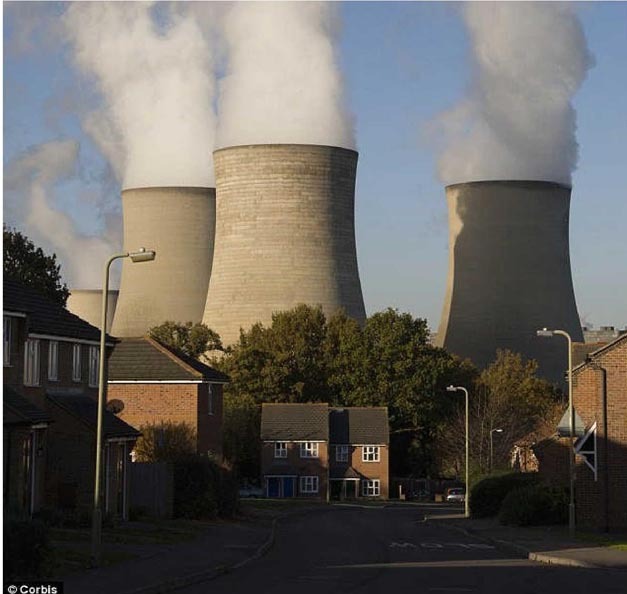 This government proposes that nuclear power play a key role in “keeping the lights on”. The gap that needs to be filled is 20%. This could easily be met by an increase in renewable energy generation and investment in energy efficiency, creating many more jobs. However, this is not the strategy that this government is pursuing, despite all its gestures towards creating a Green Deal.